A big win today by my Tennessee Volunteers against Iowa in the Gator Bowl. (I can’t bring myself to call it the “Taxslayer Bowl.”) First postseason win since 2008. First winning season since 2009. Wins in four out of our last five. An extremely young team that gained a ton of experience this year. Another stellar recruiting class on its way. Jalen Hurd. 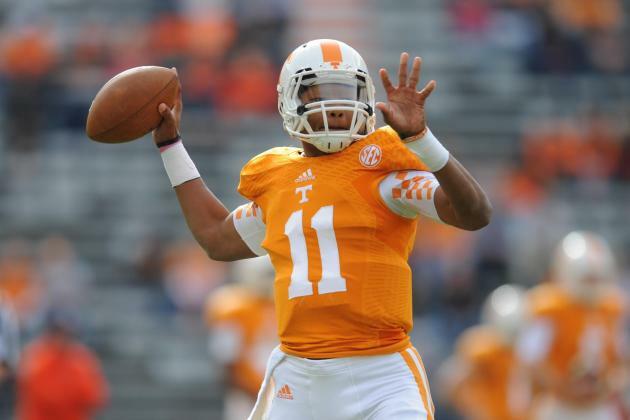 Joshua Dobbs. Butch Jones. And a program that’s on it’s way to being relevant again. A good way to begin 2015, I think. This entry was posted in Sports and tagged Gator Bowl 2015, University of Tennessee football. Bookmark the permalink.